We welcome Marr Cappella who will be presenting the second night of their Christmas concert Angel Song. 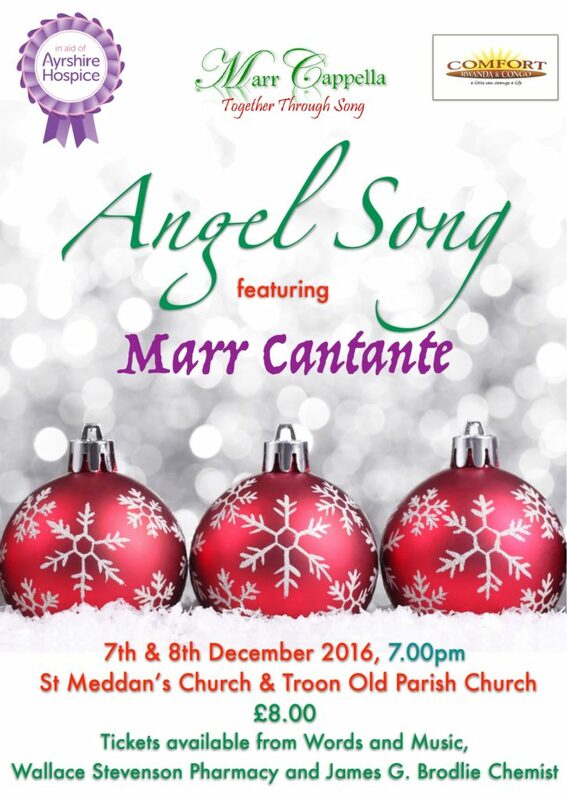 The concert features Marr Cantante, their newly-formed youth choir, and will start at the slightly earlier than usual time of 7 pm. Tickets cost £8 and are available from Words and Music, Wallace Stevenson Pharmacy and James Brodlie Chemist.